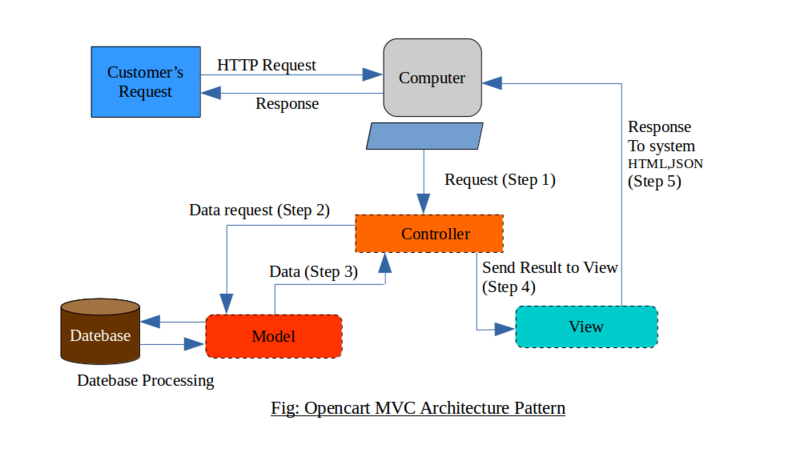 In Opencart, Model, View and Controller are the three layered which are used for passing the data to each other layered in a well defined manner. 1.Controller: In Opencart, Controller play a role of mediator which manage the whole control of program. while any customer hit a URL through browser, then the controller file will be called. Inside the controller we can load the model and call methods of that model file to get the related data. After getting response from model file controller send the data to the view file. We can also include the JS and CSS files in Opencart’s controller. 2.Model: Model file used to fetch the data from database by using SQL queries and return same data to controller. Model file mainly used to perform some operation with database through SQL Commands like DDL (Data Definition Language i.e. Create, Alter, Drop, Truncate, etc.) and DML (Data Manipulation Language i.e. Select, Insert, Update, Delete,Merge, etc.). 3.View: View file receives the resultant data from controller file in php, json, etc format and view that data to the browsers. You can write the HTML, JS/JQuery, Css and PHP code in view file in opencart. We use the .tpl Extension for the view file. The first parameter will contain the table name, the second is an associative array of values. The first parameter will contain the table name, the second is an object. Note: All values are escaped automatically producing safer queries. This function enables you to set values for inserts or updates. set() will also accept an optional third parameter ($escape), that will prevent data from being escaped if set to FALSE. To illustrate the difference, here is set() used both with and without the escape parameter. You may also use the $this->db->set() function described above when performing updates. The first parameter will contain the table name, the second is an associative array of values, the third parameter is the where key. The following functions allow you to build SQL SELECT statements. Note: If you are using PHP 5 you can use method chaining for more compact syntax. This is described at the end of the page. Please visit the result functions page for a full discussion regarding result generation. Please read the about the where function below for more information. $this->db->select() accepts an optional second parameter. If you set it to FALSE, CodeIgniter will not try to protect your field or table names with backticks. This is useful if you need a compound select statement. Writes a “SELECT MAX(field)” portion for your query. You can optionally include a second parameter to rename the resulting field. Writes a “SELECT MIN(field)” portion for your query. As with select_max(), You can optionally include a second parameter to rename the resulting field. Writes a “SELECT AVG(field)” portion for your query. As with select_max(), You can optionally include a second parameter to rename the resulting field. Writes a “SELECT SUM(field)” portion for your query. As with select_max(), You can optionally include a second parameter to rename the resulting field. Note: As shown earlier, the FROM portion of your query can be specified in the $this->db->get() function, so use whichever method you prefer. Multiple function calls can be made if you need several joins in one query. If you need a specific type of JOIN you can specify it via the third parameter of the function. Options are: left, right, outer, inner, left outer, and right outer. Note: All values passed to this function are escaped automatically, producing safer queries. $this->db->where() accepts an optional third parameter. If you set it to FALSE, CodeIgniter will not try to protect your field or table names with backticks. Note: or_where() was formerly known as orwhere(), which has been removed. This function enables you to generate LIKE clauses, useful for doing searches. Note: All values passed to this function are escaped automatically. If you do not want to use the wildcard (%) you can pass to the optional third argument the option ‘none’. 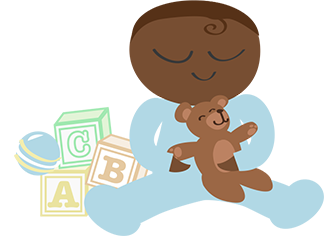 Note: or_like() was formerly known as orlike(), which has been removed. Note: group_by() was formerly known as groupby(), which has been removed. If you are using a database that CodeIgniter escapes queries for, you can prevent escaping content by passing an optional third argument, and setting it to FALSE. Identical to having(), only separates multiple clauses with “OR”. Lets you set an ORDER BY clause. The first parameter contains the name of the column you would like to order by. The second parameter lets you set the direction of the result. Options are asc or desc, or random. Or multiple function calls can be made if you need multiple fields. Note: order_by() was formerly known as orderby(), which has been removed. Note: random ordering is not currently supported in Oracle or MSSQL drivers. These will default to ‘ASC’. The second parameter lets you set a result offset. Generates a delete SQL string and runs the query. An array of table names can be passed into delete() if you would like to delete data from more than 1 table. If you want to delete all data from a table, you can use the truncate() function, or empty_table(). Generates a truncate SQL string and runs the query. Note: If the TRUNCATE command isn’t available, truncate() will execute as “DELETE FROM table”. Note: Method chaining only works with PHP 5.
decimal Yes Returns FALSE if the form element is not exactly the parameter value. valid_ip No Returns FALSE if the supplied IP is not valid. Accepts an optional parameter of “IPv4” or “IPv6” to specify an IP format. prep_url No Adds “http://&#8221; to URLs if missing. The above function is an alias of result_object().